Macrame. Rattan. Even sherpa. The boho (bohemian) interior design vibes of the 1970s are once again chic. But designers are moving away from shag carpets and beaded curtains. Intead, the focus is on texture, particularly with natural materials. From baskets to ceramics to untreated woods — texture is crucial to completing a room. It's a design element that, when combined with the components of a color scheme, furniture and decor, makes a room look and feel complete. "The boho trend is big," says Heather Hanley, creative director at the Tin Roof. "The design industry went really monochromatic. Texture is what makes it all interesting." And it's not only jute rugs and faux fur throw pillows. 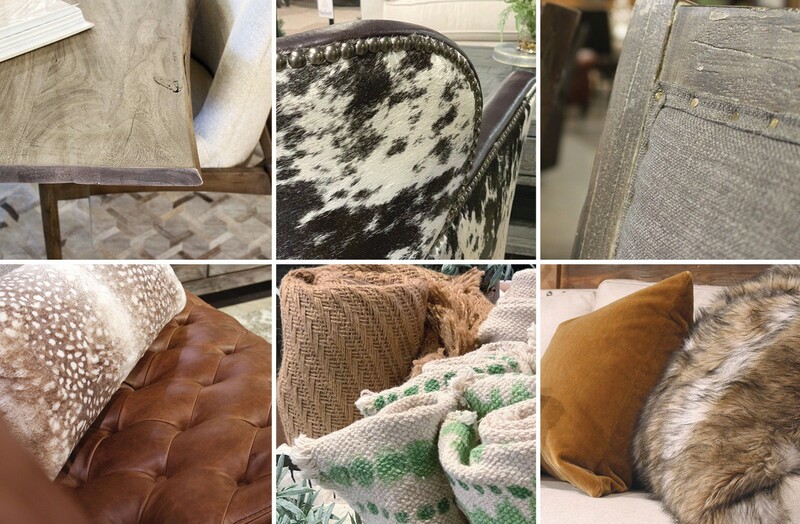 Designers and homeowners are incorporating grasscloth wallpapers, live-edge wood tables, cowhide chairs, tufted leather sofas, cable knit ottomans, wicker armchairs and yes, even sherpa accent chairs into the home. "Texture works in every design aesthetic," says Hanley. "It's a design trend that really transcends different style categories and gets applied differently with each genre." Adding texture to your home may be easier than you think. As a first step, Hanley recommends taking a picture of the room you want reinvigorate. "Taking a step back and seeing your space through a picture gives you a sense of balance," she says. "Looking at it through a different lens is important." Next, find what inspires you. Whether it's a lifestyle magazine, HGTV or Instagram, examine what you like about an inspirational space and then take steps to incorporate those elements into your own home. Keep in mind that not all elements should be treated equally. "I always advise clients to invest in the pieces they interact with the most," Hanley says. "Make an investment in furniture by choosing items that are timeless. Then have fun with rugs, pillows, lamps and accent pieces — the items you can change out during new seasons and trends." Most importantly, always choose quality materials. "You should be cautious of going overboard on a trend and choosing cheap materials," she adds. "Cheap trends go out of style. But well-done interiors transcend time. A beautiful home will still be in style a decade later if it's done respectfully and tastefully." You don't have to look far to find a local maker or artisan to help create your texture-perfect room. CJ Morrison owns Roaming Roots, a one-woman studio in Spokane. 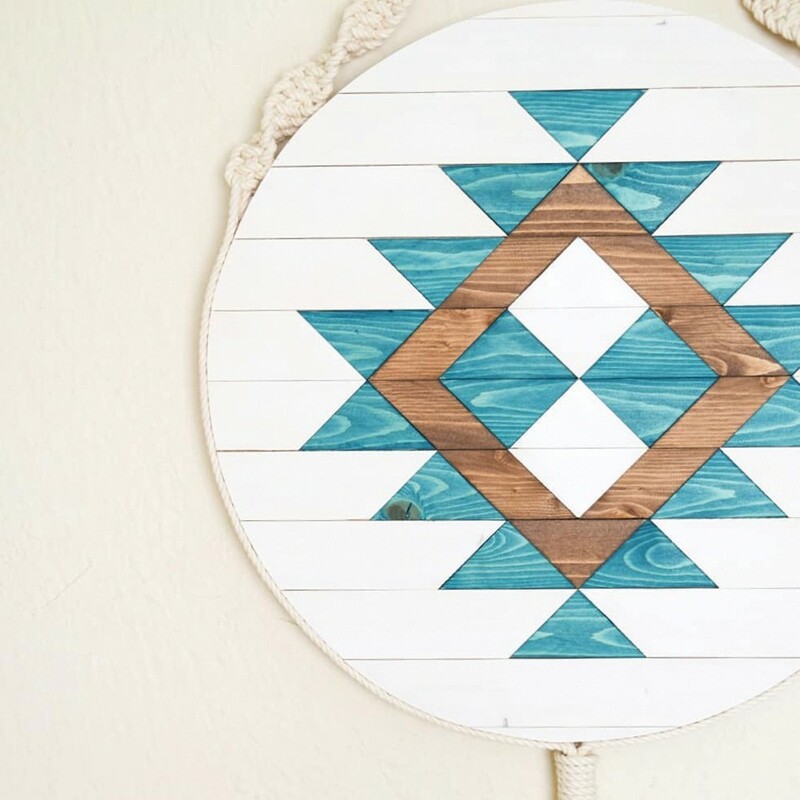 She makes intricate wood art panels, wall hangings, trays and geometric floating shelves. She's even learned to make macrame plant holders — she calls it "meditative knotting" — from her 91-year-old grandmother. "I believe our homes are a sacred space that we curate with goods that inspire and ground us," says Morrison. "Natural textures and fibers are coming back into the home space because we need grounding more than ever." "My art incorporates natural textures and elements meant to connect you back to yourself through minimalist themes, earthy tones and vibrant patterns," she says. "Wood is such a timeless element, and it's exciting to see it used again in such a modern way." The original print version of this article was headlined "Tactile Design"